Spring buds, not summer leaves, contribute yellow tea health value. Yellow Tea is named after its characteristics: tender spring buds and leaves finely oxidized, eventually the tea appears smooth yellow and its infusion looks yellowish green. 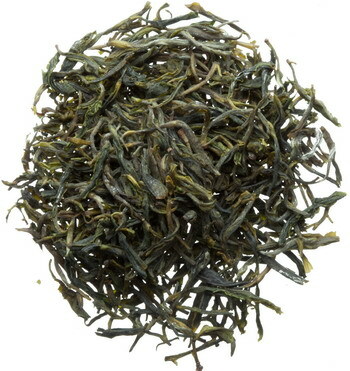 Our selection Mo Gan Huang Ya is China’s oldest yellow tea, started from 4th century Jing Dynasty. It was well described in the world’s first tea book, “The Classic of Tea”, by Lu Yu (733-804). 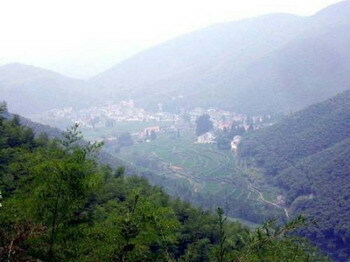 Mo Gan mountain lies in the west of Zhejiang, famous for its foggy clouds, green bamboo forest, clear springs and waterfalls The super micro condition gives nutrition to the tea plants around. The local tea farmers only harvest March and April spring buds and leaves, carefully follow their traditional process procedures, especially the special heat-steaming method. 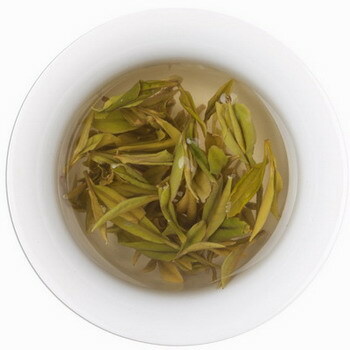 Mo Gan Huang Ya is only from early April spring one-bud-one-leave. After steeping the tea, it turns transparent yellowish green, neatly opens and gives off fresh and pure aroma. This fine tea tastes refreshing and smooth, giving a spring season feeling. How to brew Mo Gan Huang Ya yellow tea? A Gaiwan or glass teaport is the best. 80-90 ℃ water (the softer water, the lower temperature). smell the inner side of lid - full of aroma! How to appreciate Mo Gan Huang Ya yellow tea? Elegant, fresh and pure aroma. Tender buds gently sinking down into a green pond, bright, transparent yellowish green. Soft, refreshing, mixture of sweet bitterness.